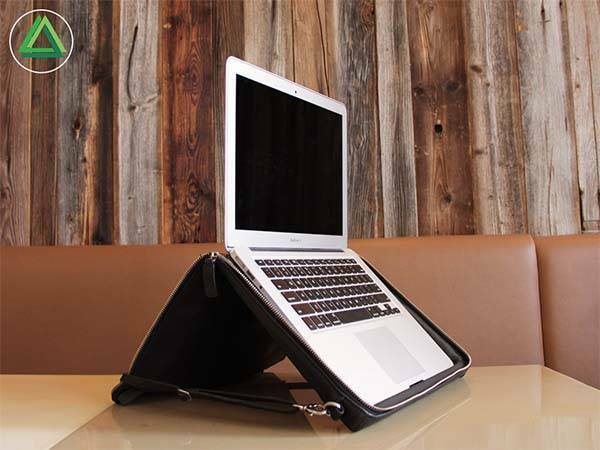 A portable laptop stand has been integrated into Helcy leather laptop bag, so it’s not only used to hold a laptop, but also provides a comfortable platform that allows you to comfortably use the laptop wherever you’re. 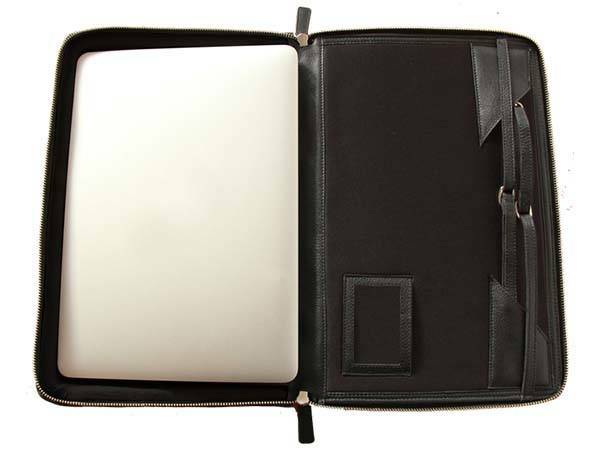 The Helcy is a stylish and multi functional leather laptop bag that comes in two models for 13″ and 15″ laptops. As we can see from the images, the laptop bag shows off a low-profile and stylish style and it comes with three optional colors: bordeaux, black and cognac in order to meet different senses of style. Meanwhile, the laptop bag is made from soft vegetable tanned cow leather for durability and luxurious feeling. The main compartment of the leather bag gently holds your laptop in place, and its YKK zipper keeps the laptop securely in place when you’re on the move. Moreover, its back and front pickets accommodate your documents, mouse and Bluetooth keyboard. More importantly, the leather bag doubles as a portable laptop stand that improves your posture and working efficiency, and the height of the laptop stand is adjustable based on your needs, whilst its integrated airflow system uplifts your laptop and releases the be rated heat. 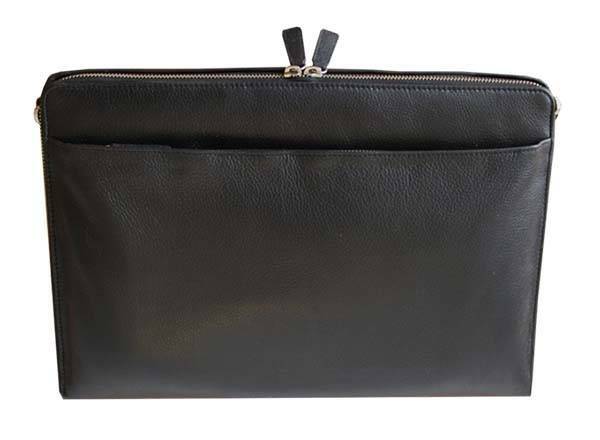 Apart from that, its adjustable and detachable shoulder strip allows you to use it as a shoulder bag or leather sleeve. The crowdfunding campaign for HELCY is ongoing on Kickstarter. You can pledge approx $156 to preorder the laptop bag with integrated laptop stand (adding extra €10 for a model for 15″ laptop). If reaching its funding goal, the leather bag will be shipped in June this year.